Since 1910, Scouting has helped mold future leaders by combining educational activities and lifelong values with fun. Scouting provides youth with good role models who can have a powerful impact on their lives. We have a process that screens, selects, and trains the leaders who can provide the attention all young people need to succeed in life. Scouting provides structured settings where kids can learn new skills and develop habits of continual learning that will help them succeed. Scouting offers a proven program of discovering, sharing, and applying knowledge and skills that last a lifetime. One of the key tenets of Scouting is "duty to God." While Scouting does not define religious belief for its members, it does encourage each young person to begin a spiritual journey through the practice of his or her faith tradition. Scouting is deeply rooted in the concept of doing for others. "Do a Good Turn Daily" is a core Scouting precept. Scouting encourages young people to recognize the needs of others and take action accordingly. Young people need to be well. To get the most from life, one must be both mentally and physically fit. A commitment to physical wellness has been reflected in Scouting's outdoor programs such as hiking, camping, swimming, climbing, and conservation. First aid, lifesaving, and safety programs are synonymous with Scouting. Our programs today include strong drug abuse awareness and prevention programs emphasizing the value of healthy living habits. Few will argue with the importance of teaching values and responsibility to our children - not only right from wrong, but specific, affirmative values such as fairness, courage, honor, and respect for others. 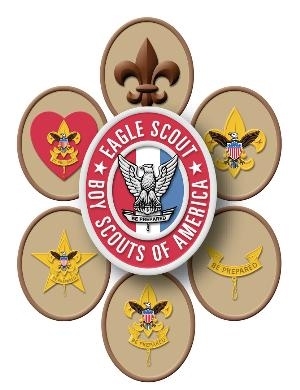 Beginning with the Scout Oath and Scout Law, the Boy Scouts of America program is infused with character-building activities that allow youth to apply abstract principles to daily living situations.